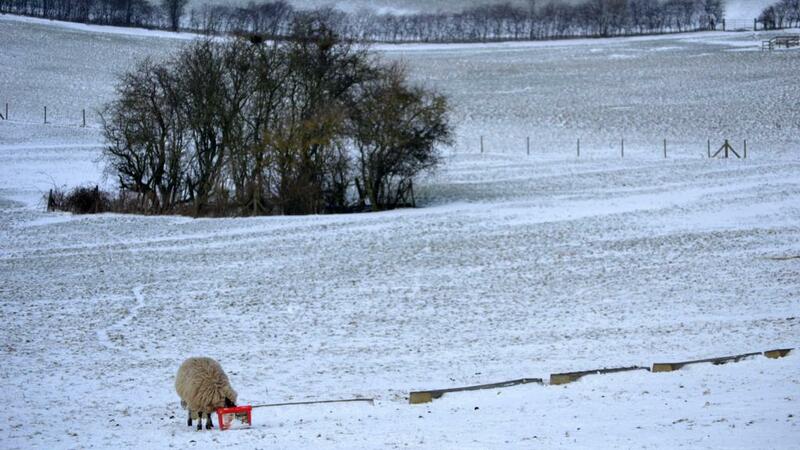 The miserable start to 2018 looks set to continue for farmers with wintry conditions forecast just a week after the country bathed in glorious sunshine - for a couple of days. Met Office forecasters have warned the Lake District, North Pennines and Scottish Highlands are the regions most at risk of wintry weather. “Towards the end of the week it is certainly possible that the cold weather will include hail, sleet showers and snow, especially on higher ground,” said Met Office meteorologist John West. "For the rest of the period it will be generally changeable, with the best of any drier and brighter weather in the southeast, but with a chance of some rain at times even here. "Temperatures overall will be around average, but it may be rather warm in the south and east at times," the Met Office said. Mixed conditions will continue through early May, with changeable periods of weather bringing showery rain, interspersed with drier and brighter periods. Some longer drier spells are possible across the northwest. There are some signs of a generally drier, more settled spell of weather developing in May. Temperatures are likely to be variable at first although balancing out around average. If a more settled spell develops later in the month, then temperatures may become warmer than average. Next Article The dairy bull calf debate: What are the options for UK farmers?